Gold and White Office Supplies have been all the rage lately and I can't help but be obsessed with this sleek combination (as you can see I have been pinning it like crazy). It oozes girly and chicness without having to use the usual color pink. 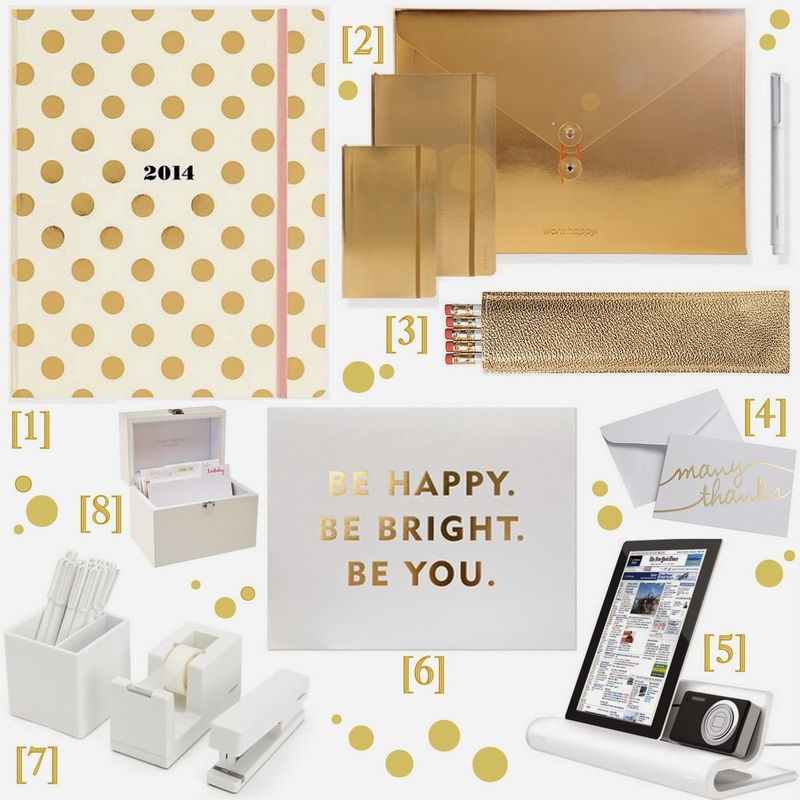 Don't get me wrong, I love pink too, but white and gold seems more grown up and probably won't bother your significant other as much *wink* Here are some of my favorite Gold and White Office Supplies that can instantly add chicness to your office! I'm loving the trend too, the polka dot print is my favorite! Oh my gosh, these are all super cute! Love this trend. These are fabulous little thingies for a flam office! I so need #6 in my life! Love these items! So pretty! These are so cute! I wanted that agenda so badly! Really nice way to gove the office a pick me up. Love the gold, I've been obsessing over copper too. 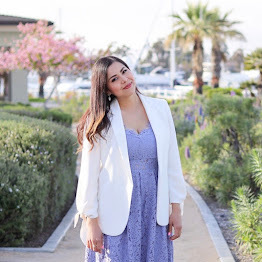 I have never really been a gold person, but I do love this trend and find that I am in love with gold and pretty pastels! I want it all! Anything gold is good in my book. haha. Wow these are so cute and there is something so fun about white and gold. I'm a big fan!